Today I'd like to tell you about my awesome students. In charge as an English coordinator this academic year 2017/2018 leading me to the job which is so interesting. Why? 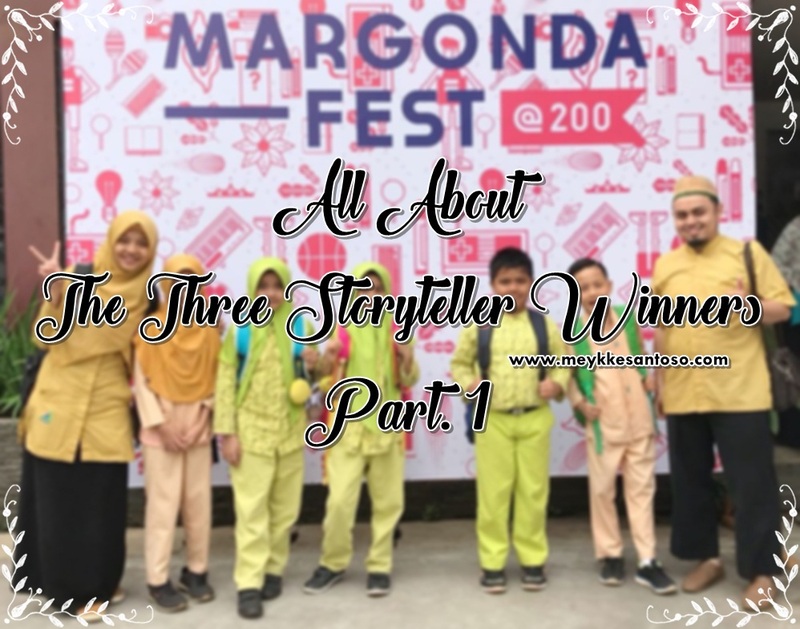 My two students got THE FIRST PLACE and another on got the FOURTH PLACE in Story Telling Competition held by two schools in the same month. I can see their enthusiasm, spirit and struggle to give their best in the competition. And here are their stories! His name is Nevan and he's only the third grader. He joined the competition and competed with all elementary graders; grade 1 up to 6. And there were 36 participants in total from different schools around Depok. 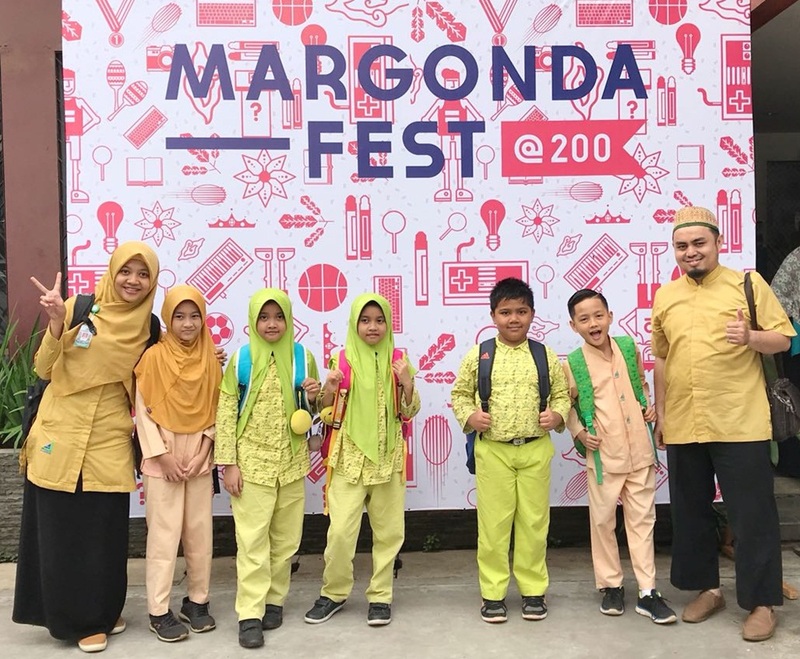 This is the annual competition called Margonda Fest which aims to build good relationship and cooperation among the schools either public or private schools around Depok. Many schools joined the competition to show their students' creativity and capability based on the category given. there are a lot of competition categories here such as archery, choir, science project competition, story telling, futsal, and so on. Jl. 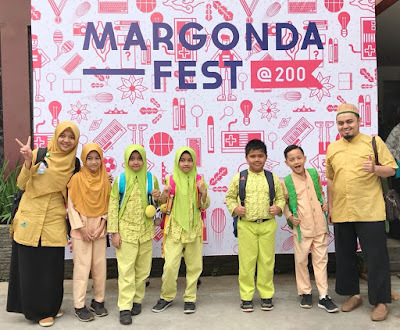 Margonda Raya No.200 Kota Depok. Well, for story telling competition itself was held on Tuesday, November 21st 2017. Altogether with some other competition participants, we headed to Lazuardi Islamic School to be ready showing our talents. I have Diajeng; the sixth grader (I adore her spirit and talent so much) and Nevan (I adore his confidence and British accent). The fascinating thing is that he never join any English course. To get his British accent, he just needs to watch some videos/movies on Youtube. Such an independent fast-learner!! And he's only the third grade. Before the D-day, we had practiced so hard almost everyday. Not only memorizing the script, they had to learn on how to put some mimic and expressions, how to move their body accordingly, and use some puppet and other stuff. Thanks God, they did it so well! The winner announcement was coming on the next Sunday and we'd got the invitation to come. It means that we have possibility to be the winner either the first, second, third or the consolation. Thanks God! We've got the FIRST place!! Nevan Khaizuran Raziq, on behalf of Al Jannah Islamic Nature and Science School (where I'm teaching in) finally could be the FIRST WINNER and gain some benefits such as some cash, certificate , trophy, goody bag and many more. Congratulation for Nevan because this is not the first time he's got place in English Competition. Previously. he could be the second winner in Show and Tell Competition held by LB LIA, Cibubur last month. 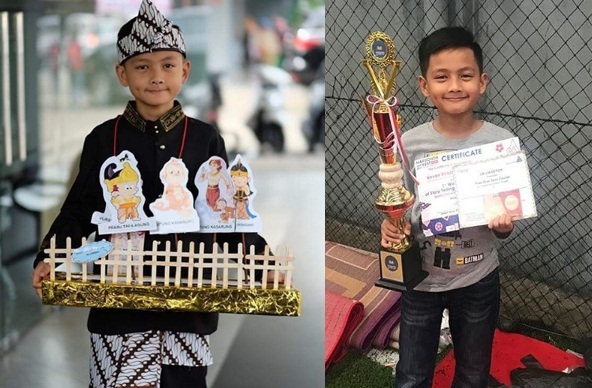 Read "A Great Start in LB LIA English Competition"
In my opinion, his strengths are his British accent which not every child can have it, his confidence every time he's on the stage, and his well-prepared habit. His Mom is the one who made him so gorgeous because she is the one who prepared the script, the costume and the puppet. At school, we only needed to train him and give him some feedback about the movements, some pronunciation, and the expressions. It's so fun to cooperate with such an enthusiastic Mom. 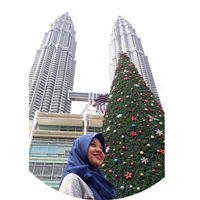 I'm really proud to Diajeng as well since she was really keen on practicing. She always visited my room every morning and practiced in front of my camera before the competition. I can see that she really enjoys doing it. She's cheerful, full of passion and spirit. Such a super active teenager!! This success means a lot to me as their trainer because this is my first year being in charge as a coordinator and I even do not expect this winning since there were a lot of other great and fabulous participants joining the competitions. Finally Nevan can be the best and chosen as the FIRST winner out of other 35 participants.